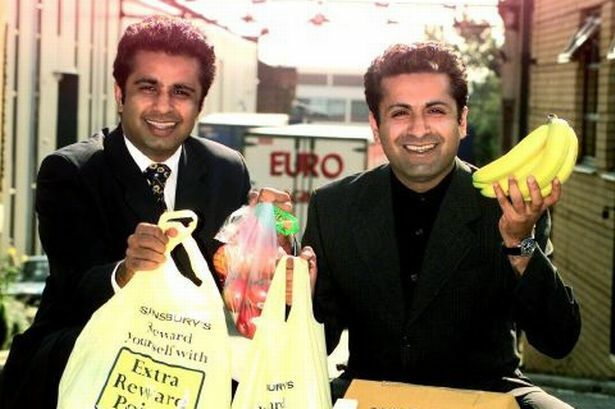 Brothers Afzal and Shabir Alimahomed and family took the Yardley-based Euro Packaging business back into their ownership three years after selling it to a private equity house. Jobs were saved in Birmingham and around the world in September 2009 when brothers Afzal and Shabir Alimahomed and family took the Yardley-based Euro Packaging business back into their ownership three years after selling it to a private equity house. The takeover resulted in Euro Packaging Jersey Guarantee, owned by the family, taking Europackaging Ltd and Border Converters Ltd back under their wing for an estimated £20 million. The 2006 sale of Euro Packaging to New York and London-based private equity firm MidOcean Partners is thought to have netted the family well over £100 million. Not bad for a business set up by Afzal and Shabir’s father Abdul who arrived in the UK from Malawi in 1974 and began a business as a paper bag merchant. Euro Packaging is now a £170 million-plus business selling 3,000 different kinds of packaging around the world. The company employs more than 1,000 people and 1,300 pallets of Euro Packaging products leave its depots every day. Afzal, 49 and Shabir, 44, are responsible for the running of the business which has sales offices in China, India and France. The company also has interests in Malaysia, Turkey, Spain and Dubai. In 2012 Euro Packaging won the UK Packaging Award for its ant-bacterial refuse sacks. Among other products, Euro Packaging provides billions of carrier bags a year to UK supermarkets and major stores including Tesco, Sainsbury, ASDA, Carrefour, Somerfield, Greggs and Ikea. The company also supplies a wide range of re-usable shopping bags. In 2005 the company invested in a state-of-the-art four-storey head office building and three hall distribution centre in Birmingham. Euro Packaging also has a dedicated research and development facility at its Brickfield Road HQ. This R&D unit has developed a range of innovative and environmental products including woven long life bags and hand-finished paper bags for the luxury goods market.